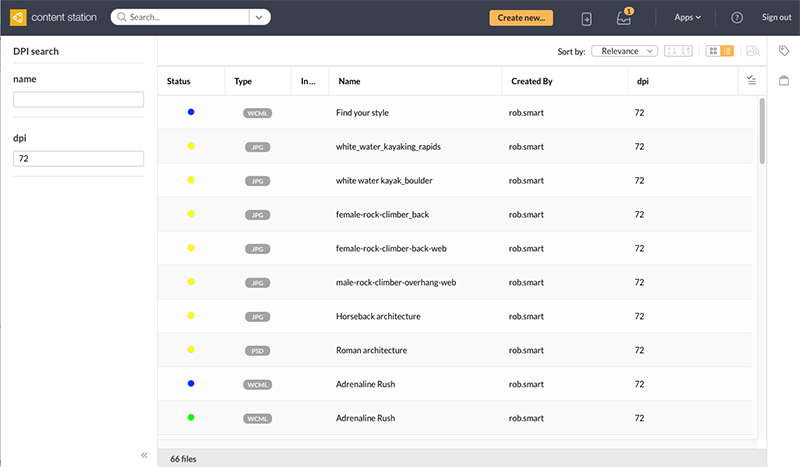 Named Queries are pre-defined queries that allow users of Content Station and Smart Connection to quickly perform a search in Enterprise in order to locate particular files. 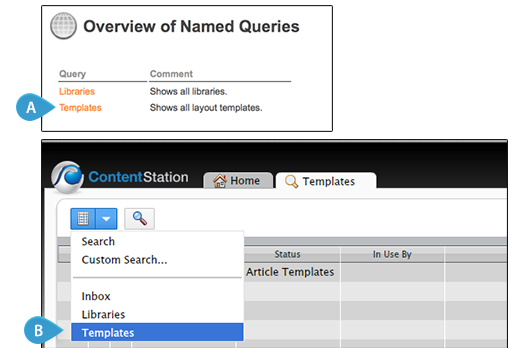 Users of Content Station and Smart Connection do this by choosing the Named Query in the Search Application (Content Station 9), the Search box (Content Station 10) or the Smart Connection panel (Smart Connection for InDesign and InCopy). After selection, the query is automatically executed. Optionally, fields for further filtering the search results can also be made available. Figure: The default Named Query named 'Templates' that is defined in Enterprise Server (A), appears as an option in the Search Application in Content Station 9 (B). Named Queries can be seen as static search templates that are made available by the system administrator to all users and which cannot be changed by the end user. The Search menu of the Smart Connection panel in InDesign or InCopy. The Search menu of the Search pane in Content Station. Comment. Optional administrator comment about the query, for internal reference only. Name. (Mandatory.) An object of type 'string', used as the label for the field in the interface. Default value. (Optional.) Initial value of the parameter. List values (Optional.) Can be used when the object type is 'list'. Holds the values of the list. Each entry must be separated by a forward slash ( / ). When no default is set, the first entry is pre-selected. Query SQL. The SQL statement for this Named Query. The parameters can be used inside the SQL with $parametername. For string values, this needs to be surrounded by double quotes ("). The name of the user executing the query can be used in the SQL statement as "$user". Check access. Defines if a check should be made whether or not the user has sufficient rights to access each returned file. If the user does not have sufficient rights, the file is not included in the search results. Note: Enabling this option can have a negative impact on performance (longer waiting times for the user). Example: Disable this option when it is known beforehand that all users are authorized the files, such as a query that locates all templates. Here, a Named Query is created that lets uses find files that have a certain DPI value set. 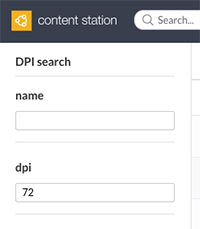 The default search is for a DPI value of 72. Users can fine-tune the results by searching for a file name or a different DPI value. Figure: A Named Query for locating files with a specific DPI value (default is 72). Step 1. 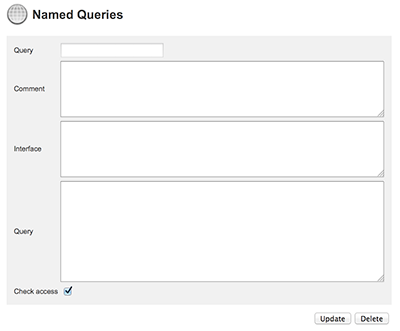 Access the Overview of Named Queries page. 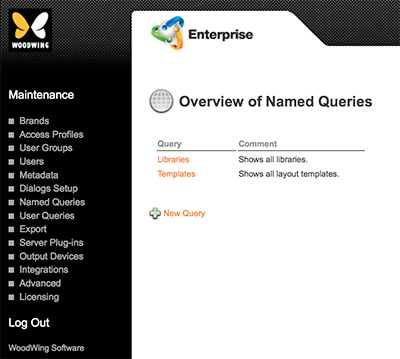 Choose Named Queries in the Maintenance menu on the left side of the screen or on the Home page. Step 2. Click New Query. 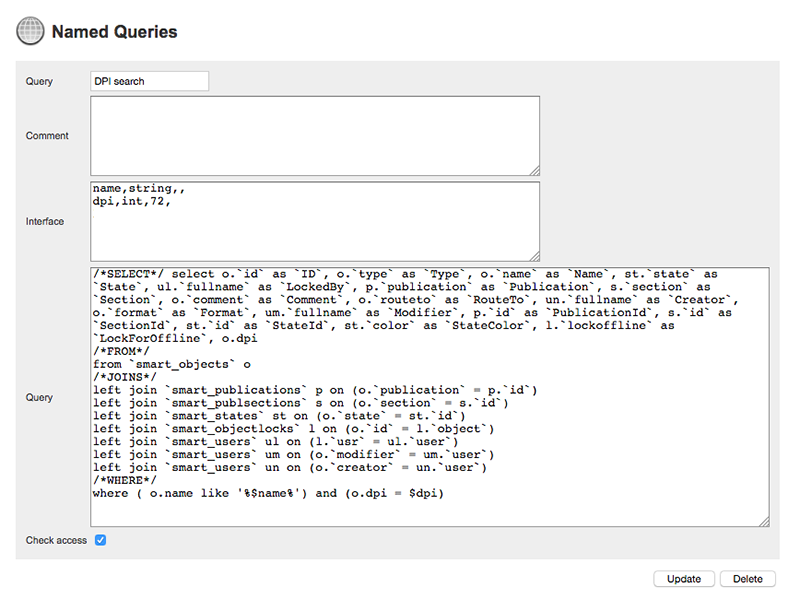 The Named Queries page appears. Step 3. Fill out all details. To support status colors and automatic updating of column fields, your query also needs to return brandid, issueid, sectionid, and stateid. Normally these are returned as the last columns. Before adding new Named Queries to the system, we recommend to first make sure that the SQL is correct by executing it, for example by using phpMyAdmin. Newly created Named Queries will only be available to a user when he/she logs out and logs back in to the system. However, changes in the SQL section of an existing Named Query do NOT require users to log out and in again. Tip: To hide a Named Query client-side, start its name with a dot (for example .MyQuery). Below follows the full code for the default Named Queries 'Libraries' and 'Templates'. The notations shown are those for MySQL. The 'StateColor' option is included so that all client applications can display the correct Workflow Status color. 27 December 2016: Updated component information and examples.